Apart from makeup, stationery is my other addiction. My favourite shop was used to the Paperchase Flagship at Tottenham Court Road. 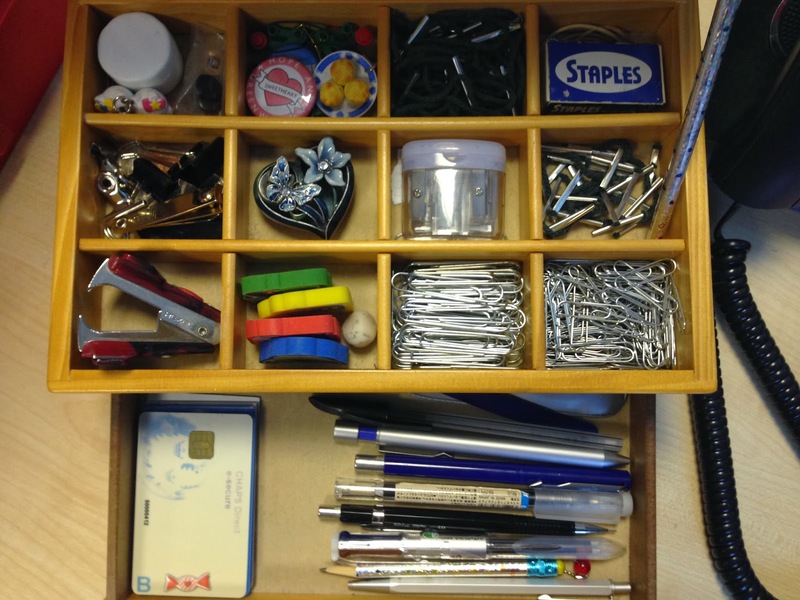 When the bits and bobs started scattering round my desk, I needed storage to keep them neatly. 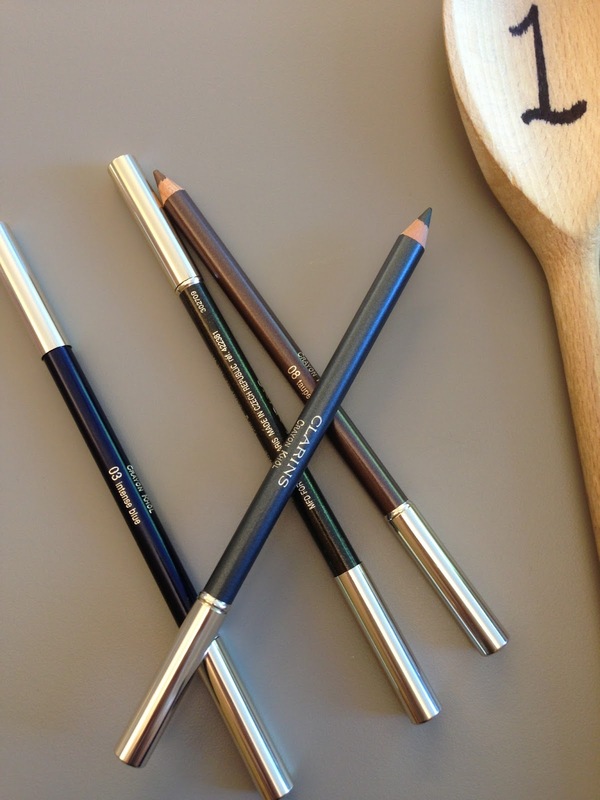 Yes, there are pen holders, cups, or metal desk organizers from Rymans. I just found them too un-imaginative and too “normal”. I adore those old Victorian desk boxes which are used to hold letters and envelopes, so I began to search online for “stationery boxes”. They were either not too practical or surprisingly expensive. Until one day I had a random strolled in the haberdashery department in John Lewis, I spotted this!! A simple wooden sewing box. It was love at first sight, and I instantly knew this is THE ONE! It is a simple wooden box without any decoration. 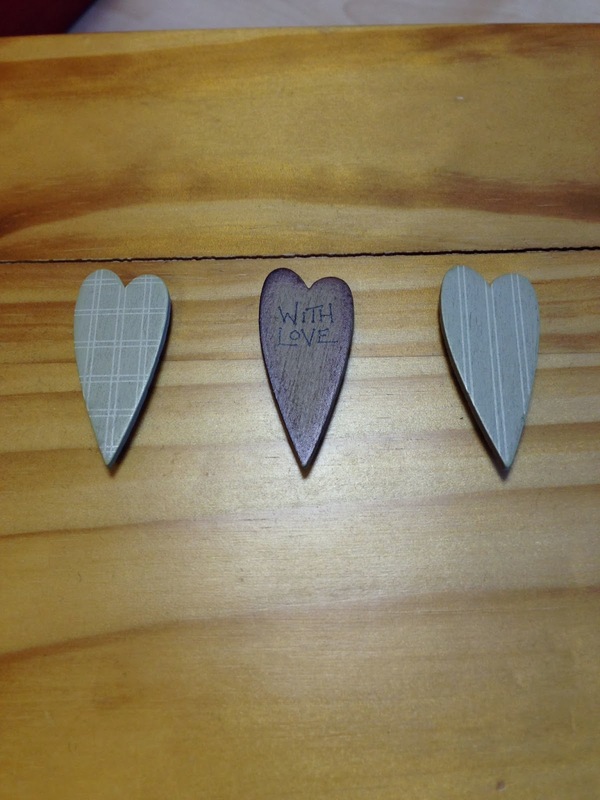 I stuck on 3 wooden hearts from a card-making kit. The size is 10.5 inches (w) x 7 inches (d) x 4 inches (h). The Box has two tiers. Top tier is a lid to lift up revealing 12 small equal size compartments, and a drawer underneath. 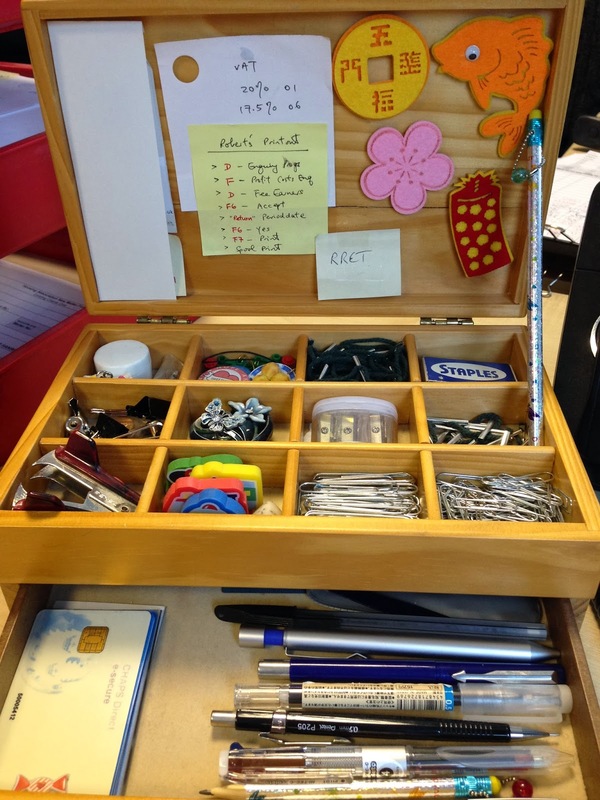 I use this box at my office desk so the stationery inside are things that I use at work (well… most of them… you will see what I mean). Oh, the hinges on my box are semi-broken, so I use a new pencil to hold the lid up. 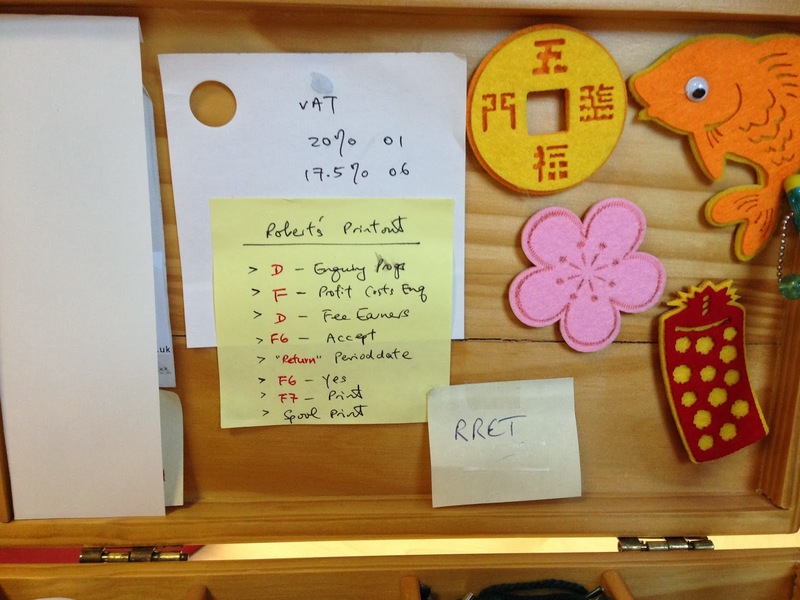 Starting with the lid – I use this as my little noticeboard to stick on post-it notes, reminders, and other decorations – I have my Chinese new year stickers on at the moment. 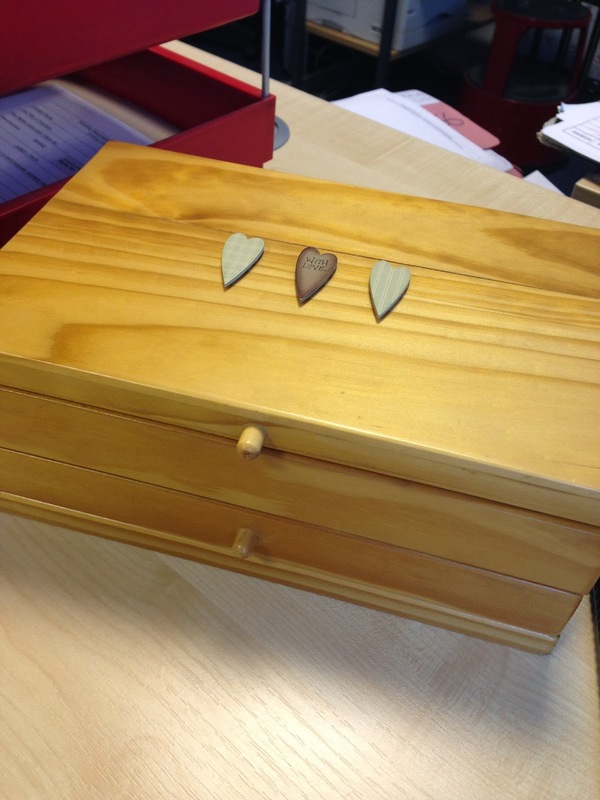 The box has two tiers - Top section has 12 little compartments, underneath is a single compartment drawer. 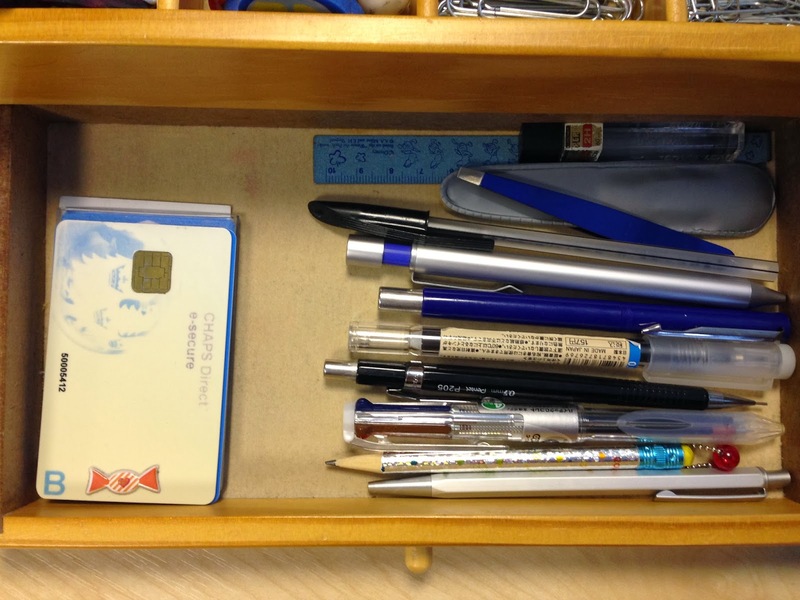 Bottom drawer - in the bottom drawer, I store my most used pens and pencils. I keep my office bank cards on the left hand side. 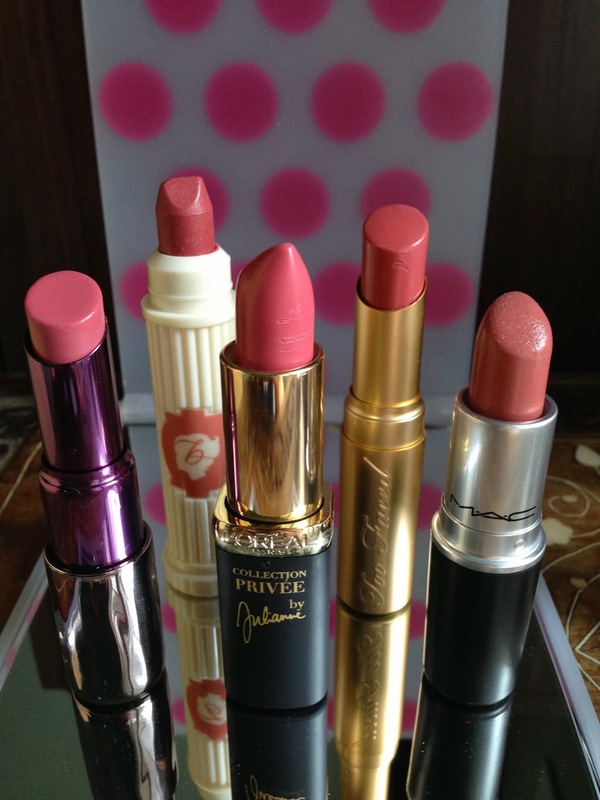 It is a different post to my usual beauty things. 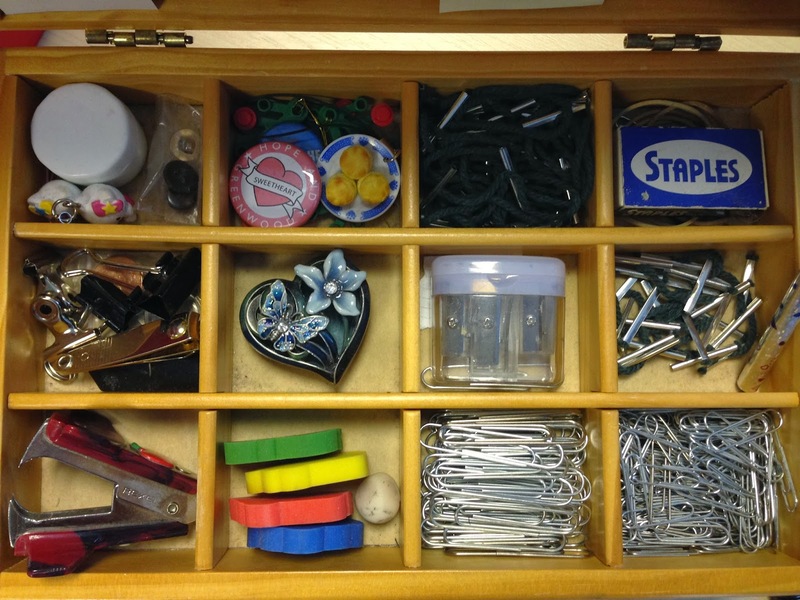 I hope this "sewing box turned stationery box" will inspire you with storage ideas. I got this about 2 years ago. It was about £20. However, I cannot find it on John Lewis website anymore. However, I would suggest to keep your eyes peeled when you are there next time. You might stumble across a great piece, just like I did!